We’re preparing for our weekend bus trip. The kids are all excited to go. 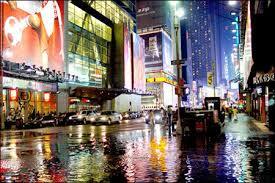 Many want to see Broadway shows. The Circus is at Madison Square Garden, too, and their tickets begin at $15.oo It’s always difficult to find something for minors to do from about 8:00pm until 11:00pm. The adults will be looking for alcohol to ease their aching knees and feet. We’ve been promoting the trip since January. They all know about it, Incoming and Outgoing students. It’s dirt cheap, and they could make payments. Soooo, today I got a text asking if a student from another program can go. A text. Tonight, one of the students emailed me asking if 2 of her friends can go. If the groups were filled up, they can just be on their own for the day. They are Freshman. Yeah, that’s so gonna happen. I’ll have to rejigger the groups around to accommodate the kids. The latest weather report is 70% rain with a high of 53°. I hope they dress for the weather. I know they are planning to wear their best, hippest, trendiest non-Appalachian clothes. Ed Hardy hoodies look quite absorbant to me. My group really wants to spend a lot of time in Chinatown and Little Italy. Husband will load up on ‘Fauxklys’ at 4 for $20.00 and fake Tag Heuer watches. I want a new Kipling bag, and if Husband wants to spoil me, a new Tiffany purse pen to replace the one I lost. Wish us luck, and next week I’ll tell you about the boy who ran away in Chinatown. I lost the post. Thanks, M, for letting me know. The Kipling Fairy arrived last night. What a nice tote he brought with him. I love it! It’s a new bag I’ve never seen before. It’s just perfect. It’s versatile, and folds flat. (Clicking on the photos will take you to Ebags.com.) The strap is long enough to carry cross-body, too. The eBay Fairy also visited. She brought a small black east-west purse with her. I’ve been looking for a small shoulder bag like this one for some time now. The Kipling Fairy doesn’t know about the eBay Fairy, so it’s our little secret. Hi, I’m Wry. I have a problem. I am addicted to Kipling bags. Cosmetic bags? Yep. Computer bags? Yep. Messenger bags? of course. Duffle bags? Oh, yeah! Tote bags? Sure! Backpacks? Yes! Garment bag? Ebay, baby! Purses? Um, maybe a few? Kipling is from Belgium. The bags are made of water repellent strong nylon. I throw them in the washing machine to clean them. I have bags that are 20 years old, and they still look new. 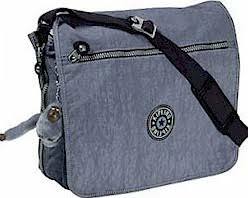 Our exchange sons laugh at me, but they have Kipling messenger bags or duffles themselves. The bags all come with a plush monkey keychain. I take them off the bags, and grouped them on display in an art glass bowl. I probably have 40 monkeys. They amuse me. I buy my Kipling products from Ebay, TJMaxx, eBags, and whenever we go to New York City. My birthday is coming up quickly. Gee, I wonder what to ask the birthday fairy for? ?